I recently read a linkedin article discussing the advantages and disadvantages of presentation cheques for charities and other organisations engaging in fundraising efforts. Throughout the comments discussion turned to the infamous “Cheque Photo”. How fundraising and the photo to congratulate has become so ingrained in our twitter feeds, it has possibly lost some of its merit. Personally I agree! Gone are the days where the suited and booted cheque handover / handshake constitute a news-worthy photo. As marketers and fundraisers it’s in our interest to make sure the conclusion of our fundraising matches the level of enthusiasm we’ve had throughout the process. With that in mind, today we’re discussing some really great ways to enhance your charity presentation cheque photos. This was a great tip we picked up from the discussion on linkedin. Bring those who are to benefit from the fundraising into the photography. While we appreciate this may not be possible, when it is, it will add variation to the photography and may help engage the press when they are deciding what PR releases and photos to include in their publications. We didn’t raise the funds for the press release and photo opportunity. We did this for a reason. Now is the time to explain the “why” when it comes to presenting a presentation cheque to your chosen charity. At kaizenprint.co.uk we not only offer presentation cheques for photoshoots, but also a wide range of bespoke custom shaped photo props. 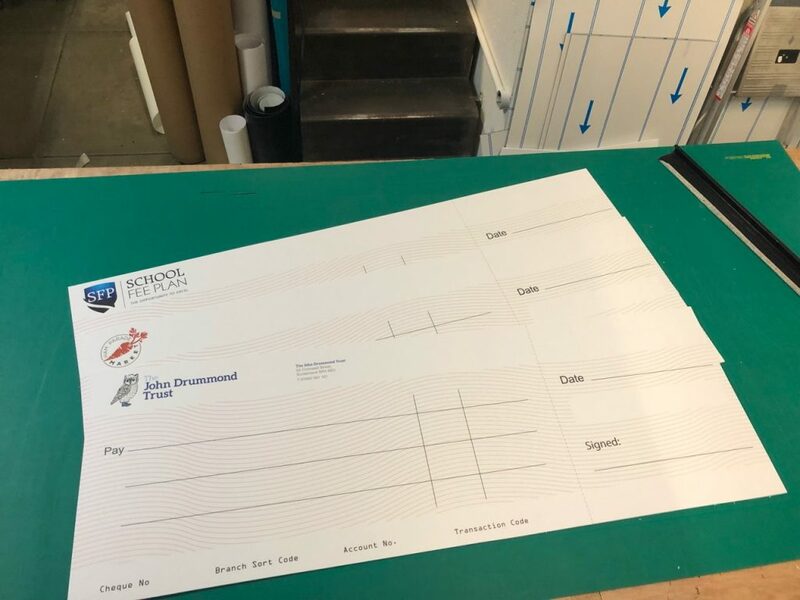 If you have any questions regarding the type of print suitable for your presentation cheque, or you want some advice on the best use of the cheque in a photo, we’re delighted to help and share some examples of great photos we’ve found online. This entry was posted in Printing and tagged presentation cheque.